Kiyoshi Kurosawa the hugely acclaimed Japanese director famous for his groundbreaking, existential horror films such as Cure and Kairo [Pulse] set Cannes alight in 2008 with this highly topical film: an eerie, poignant reflection on the mass uncertainty sweeping the world. 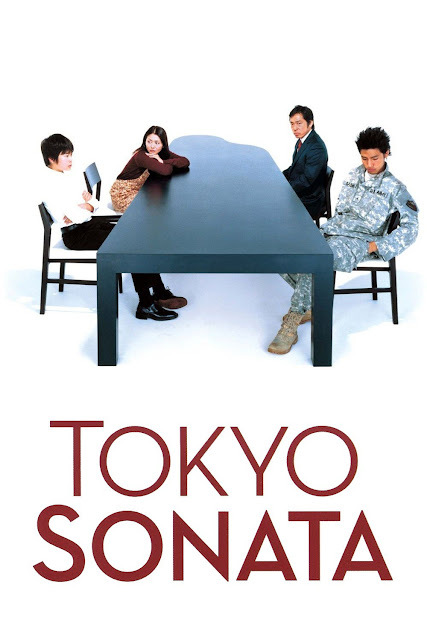 When Ryuhei Sasaki (played by Teruyuki Kagawa) is unceremoniously dumped from his safe company job, his family's happy, humdrum life is put at risk. Unwilling to accept the shame of unemployment, the loyal salaryman decides not to tell anyone, instead leaving home each morning in suit and tie with briefcase, spending his days searching for work and lining up for soup with the homeless. Outstanding performances; serene, elegant direction; and Kurosawa's trademark chills are evident as he ratchets up the unsettling atmosphere and the grim hopelessness of Sasaki's unemployment. It is a film that took me some time to appreciate. At first it was actually boring. At the end it was riveting! You can see a traditional male-dominated Japanese family where the father is actually more concerned with preserving his wobbling authority, and face, than with the well being of his wife and sons. He loses his job to outsourcing to China, and can not pick himself up again. His elder son is a bit naive and wants to find purpose by joining the US military, only to be sent to the Middle East and change is view of the world after seeing the horrors of war. His house wife tried to make things work in the family but is constantly sidelined by the father. 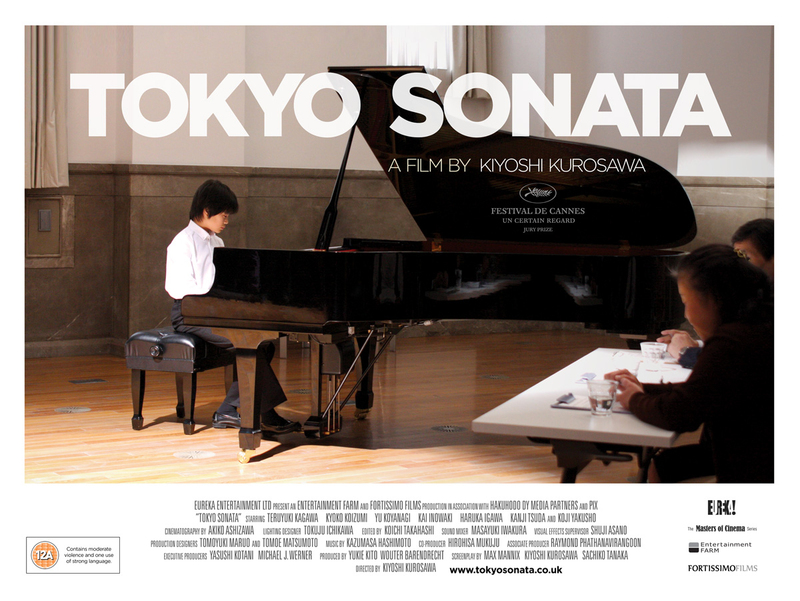 The only member of the family who turns out to have a clue is the youngest son, who dreams of becoming a pianist and takes lessons in secret when he is forbidden to do so. In the end, his dreams are the only realistic prospects for the family and his success helps the father find his way once again. The moral: follow your dream with passion and determination and be humble, true and honest to yourself.